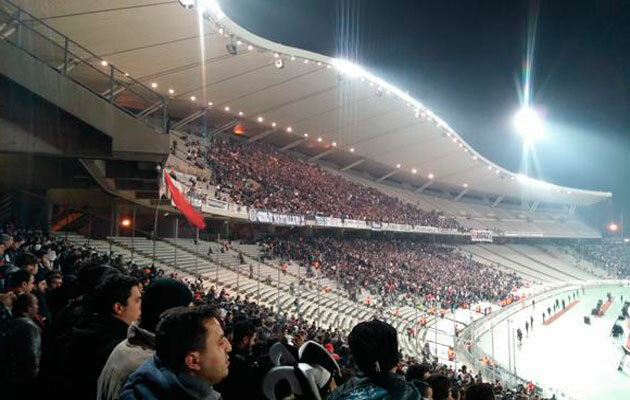 Besiktas have moved into the stadium while their own purpose-built stadium is built. Unloved venue was originally built as part of Istanbul's Olympic bid. Istanbul is one of 125 soccer cities featured in Libero, the digital travel guide for football fans. Regularly refreshed with new destinations and the travelogue Soccer Sagas, Libero is a one-click treasure trove of football trip tips, tales and trivia. See www.liberoguide.com. 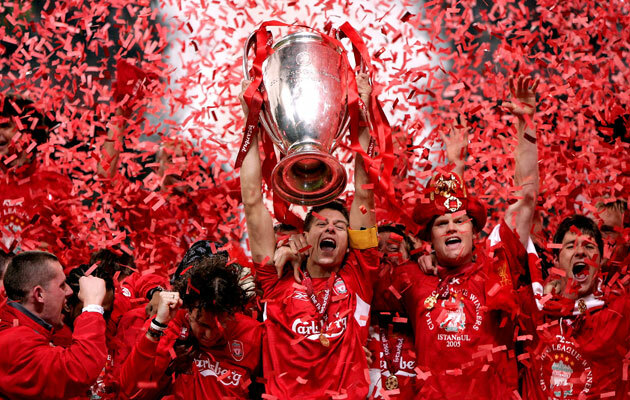 This Thursday, Liverpool make a return to the stadium where they achieved their most amazing European triumph. Exactly ten years ago, 3-0 down to AC Milan at half-time of the Champions League final, Steven Gerrard’s men hit three goals in the space of five minutes to take the tie to extra-time, then penalties. Andrea Pirlo (of all people!) missed his, Vladimir Smicer scored his, and Gerrard’s greatest night in football was complete. Since then, the stadium has been used until recently by Istanbul BB – now Basaksehir – as their home ground. In 2013, Besiktas moved in while their own historic Inonu Stadium, to be known as the Vodafone Arena, is being built. The crescent-shaped concrete Ataturk has a capacity of 79,000. Holding 79,000 people, the crescent-shaped Ataturk Olympic Stadium is set towards Istanbul’s main airport, by the main TEM highway towards Edirne and the Greek border. This makes it a long, long way from Istanbul city centre, way past the high rises of Ikitelli in the north-west. Built at a cost of $140 million between 1999 and 2002, the arena was key to Istanbul’s ultimately failed bid to host the 2008 Olympics. It was also at the centre of the controversial vote that narrowly awarded Euro 2016 to France and not Turkey. For all its cost and five-star UEFA status, the ground is pitifully underused. Even the Turkish national side plays at Fenerbahce or Galatasaray. The pitch ringed by a running track, the stadium has rarely even filled with five-figure crowds for Besiktas games this season. When they gather in any numbers, home fans usually occupy the West (Bati Tribün) and North (Kuzey Tribün) behind one goal. 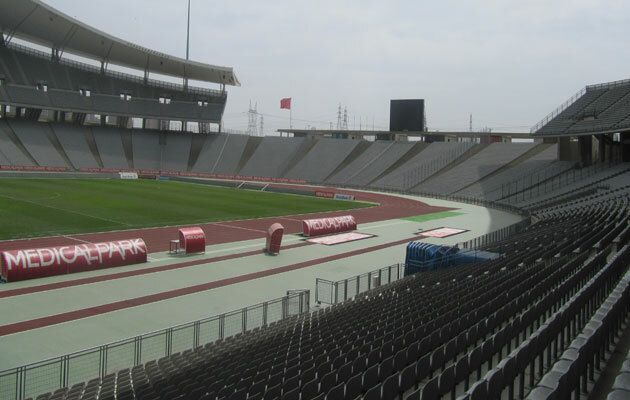 Facing the Bati Tribün, creating its crescent look is the East Stand, (Dogu Tribün). For major European nights, 4,400 away fans are allocated seats in the South Stand (Güney Tribün), through Gate R. It’s an uncovered end – and, yes, it does rain in Istanbul. The stadium now has its own station on a spur of the M3 metro line. 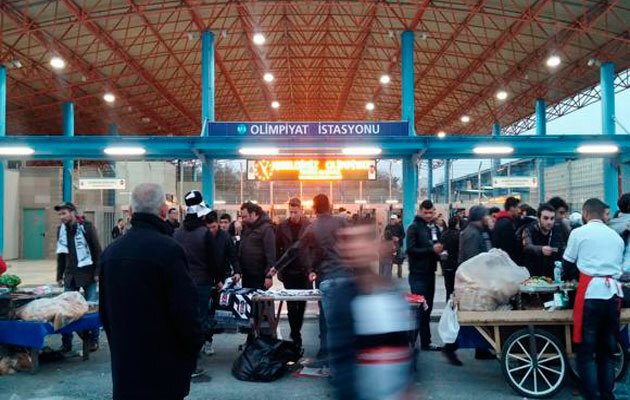 Olimpiyat Parki is two stops from Ikitelli Sanayi on the main M3 line that starts at transfer hub Kirazli. Also at the end of the extended M1B line from Aksaray, Kirazli is a good 30min from town. For the whole journey, allow the best part of an hour. As the metro station is an obvious pre-match gathering point, for big European matches the local authorities advise against visiting fans using it. On match days, special buses are laid on from town. In the case of the Liverpool game, they leave from Sultanahmet Meydani (or Square), the former hippodrome, four hours before kick-off. The price is set at a €10 return. A taxi would be around TL60-70 or €21-25. Again, allow an hour, depending on traffic. For tickets during the regular season, online outlets biletix, and branches of the supermarket Migros are reliable sources. There are no bars, cafes or restaurants anywhere near the stadium that fans can go to before or after the match unless they are ready to travel another few miles further out of Ikitelli. On match days, tea, coffee and other non-alcoholic beverages, and small snacks, are sold around the stadium. There are scant practical details available on the stadium website.